How can you buy independent magazines in the UK and how you can easily browse lots of independent magazines to find more issues that you’ll love? Whether you buy from shops, set up a subscription, buy online or from the publisher will depend on what kind of magazine you want to buy – an old favourite, or something completely new. With the ease of online shopping, physical stores are closing their doors. However, independent magazine shops are springing up across the UK. 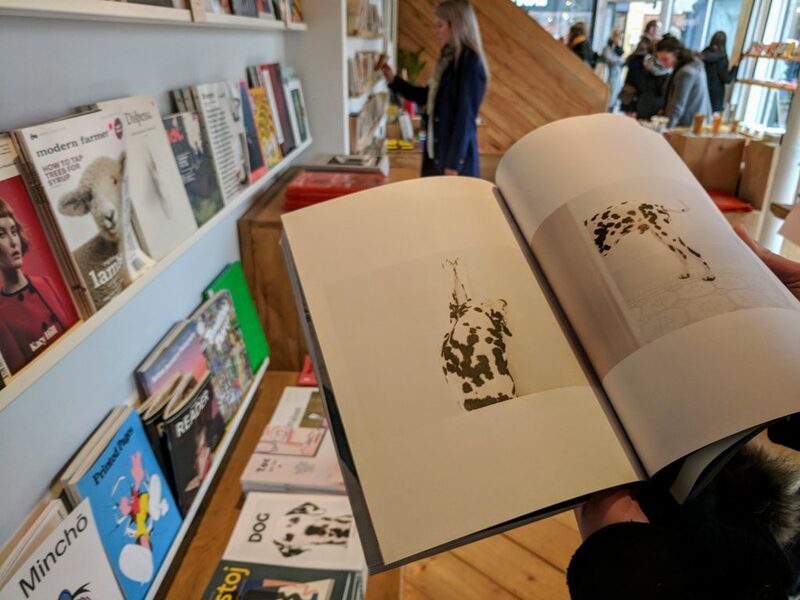 From specialist magazine shops like Magazine Brighton, to Papersmiths, a stationers from Bristol, you can buy independent magazines in plenty of places – if you know where to look! Often found just out of the main shopping area, or down a side street, these shops are staffed with friendly, passionate magazine experts. It’s a joy to see so many magazines displayed in one place. I find independent magazine shops, like bookshops, a source of inspiration and a calming escape. The reward for travelling to the shop is being able to flick through as many magazines as you want to, until you find one(s!) that you love. I find independent magazine shops, like bookshops, a source of inspiration and a calming escape. MagCulture is a London-based magazine shop that also sells its stock through its online store, with worldwide shipping. With a journal, studio, events and a podcast, they know their stuff and are a great resource for finding out more about indie mags. Tucked down a street just a few minutes walk from the train station, Magazine Brighton is a light, airy shop with lots of favourite indie magazines to buy. They also sell magazines online through their website, and help to support Brighton-based magazine creators. The South West is associated with a hive of independent print. So Magalleria in Bath has its pick of local independent magazines to stock. They have a brilliant blog reviewing magazines and sell lots of well-known titles in their webstore. It’s hard not to feel happy when walking into Papersmiths, seeing shelves of pens and notebooks neatly arranged by colour. While it’s also a very beautiful stationers, independent magazines are among the paper goods you can buy. They’ve opened branches in Brighton and London and have an online shop too! La Biblioteka is a small shop in Sheffield but it makes good use of the space and stocks a nice selection of interesting and popular independent magazines. You can buy independent magazines in their online shop along with quality stationery and other books. 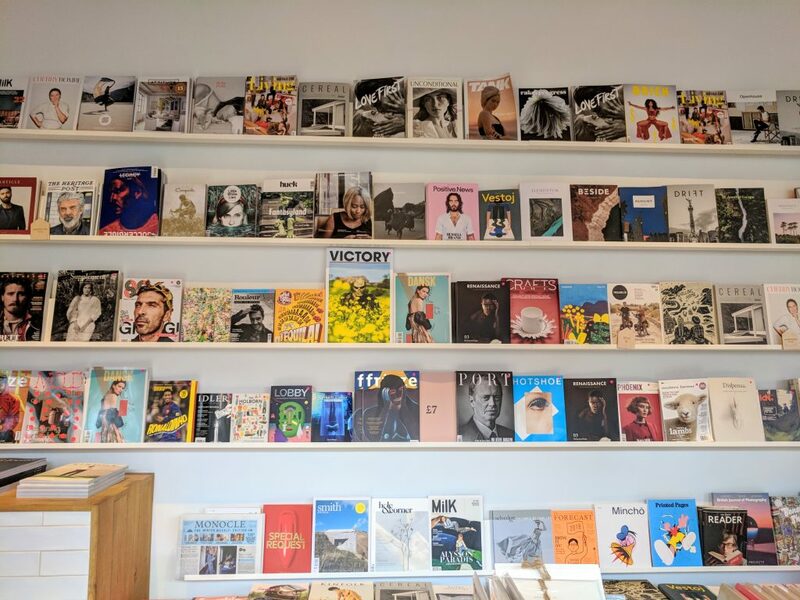 Self-described as a bookshop that sells independent magazines, Ideas on Paper want you to enjoy the shopping experience. This means they have seats in the shop and might serve you coffee while you browse! They don’t have an online shop, possibly due to prioritising the enjoyment of the shopping/browsing experience. Started with a Kickstarter campaign, Rare Mags is new on the scene and opened in 2018. Rare Mags is a collectors paradise. Their tagline “we collect magazines so you can collect magazines” is spot on. Not only can you buy independent magazines, but small-press zines too. They also sell them along with some ‘rarities’ in their online shop. I like to dip into lots of different magazines, but there are some magazines that I never want to miss an issue of. 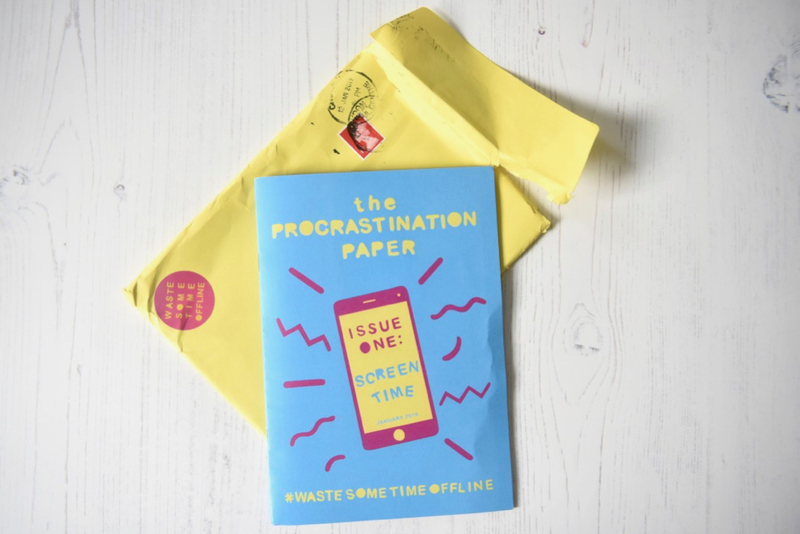 I’ve been a long-time subscriber of Oh Comely, and I recently subscribed to the Procrastinator Paper. It’s such a treat to get a new issue through the letterbox. One good reason to subscribe to your favourite indie magazines is that you will be helping to finance future issues. It also saves you money in the long run. So, if you know you’ll buy every issue of an independent magazine, don’t delay and subscribe today! When you can’t get to a shop to have a tactile feel of a magazine first, online shops are a great way to buy independent magazines. Nearly every independent magazine publisher sells its magazines on their own website. If you know what independent magazine you want to buy, just go straight to the website and have it delivered with just a few clicks. But if you’re not sure what you want, head to an online magazine marketplace to have a browse. You can buy independent magazines online from physical magazine shops (see above for a selection of shops). You can also buy independent magazines on online shops that don’t have a physical store, like Pics & Ink. Sadly Magpile Store, which was another purely online store for magazines, shut down in 2018. 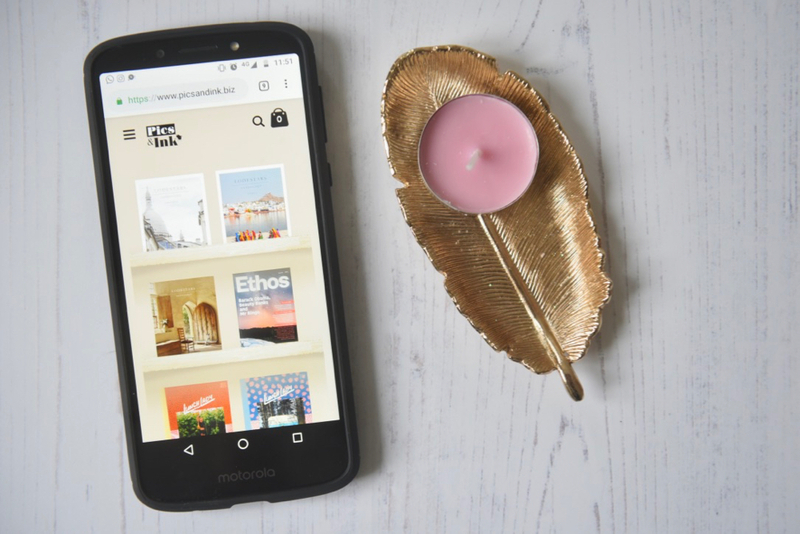 Pics & Ink is an online store that helps you browse and buy when you can’t get to a physical shop. I love that they show a few pages from each magazine, so it feels like you can flick through it. They also suggest other magazines you might like as if the shopkeeper is on hand! With a flat £2 fee for postage in the UK no matter how many magazines you buy, it’s easy to get quite a few in one go! Sometimes you don’t even need to choose the magazine you want to read. You can ask your friend / sister / mum for a book / film / podcast recommendation, but it’s a lot less likely you can ask someone you know for an independent magazine suggestion – they’re quite niche still! Thankfully, Stack Magazines solve this problem. Every month they post out a different magazine to subscribers without them knowing anything about it in advance. 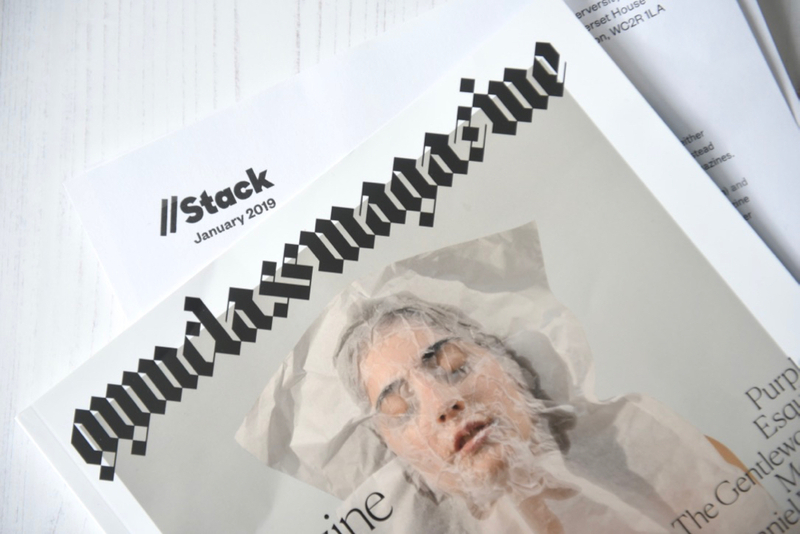 If you want to read more independent magazines, I can’t recommend Stack Magazines enough.